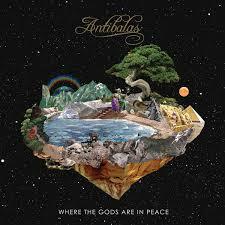 Where The Gods Are In Peace is an epic Afro-Western Trilogy and is Antibalas’ first studio album since 2012. The LP on Daptone Records is a search for solace from American political opportunism, greed and vengeance. The album is far more psychedelic in style than previous incantations of the band’s sound. While paying respect to the forefathers of Afrobeat, some tracks sound more like Goat and the evolution gives their music fresh impetus. Through its battle cry of resistance against exploitation and displacement, Antibalas’ long-form compositions investigate oppression in 1800s America that eerily mirror the current state of the country. The title refers to the possibilities of living as one unified people, where all gods are equal and together we prevail. Compositions on Where The Gods Are In Peace maintain their Afrobeat sensibilities, spanning 9 to 15 minutes in length. 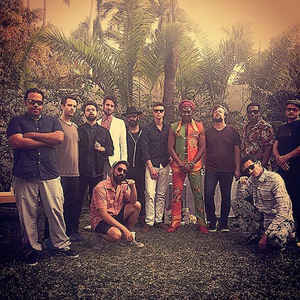 With a blessing from the Fela Kuti legacy early in the band’s career, Antibalas has long been revered for re-popularising the classic Afrobeat sound while adding their distinct New York City grit to the mix. The aforementioned influences of punk rock, free jazz, and hip-hop define a truly 21st century translation of the Afrobeat genre. Opening track Gold Rush is a tribute to forgotten indigenous people. Lead singer Duke Amayo, a kung-fu master by day and Afrobeat superstar by night, initiates a striking narrative from the devastation of the Gold Rush era. Check the latest WTM radio shows for tracks from the latest LP. The album is released on September 15.